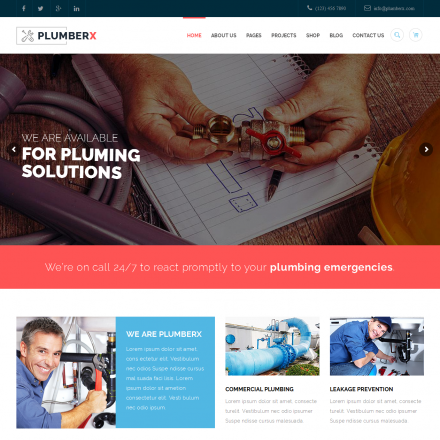 Recover is a premium WordPress theme. You may translate it to your language with Poedit translations editor. Recover is a typical theme for business sites, with the Visual Composer page builder, an option for demo data import in one click, and compatibility with WooCommerce. 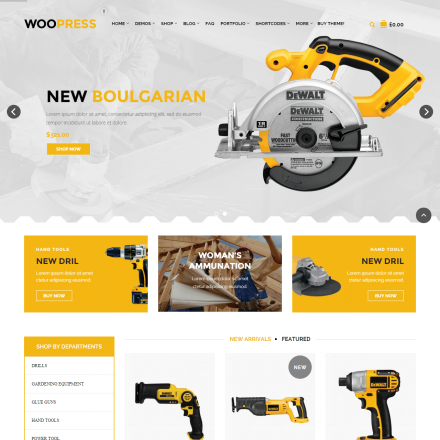 The theme focuses on construction companies. 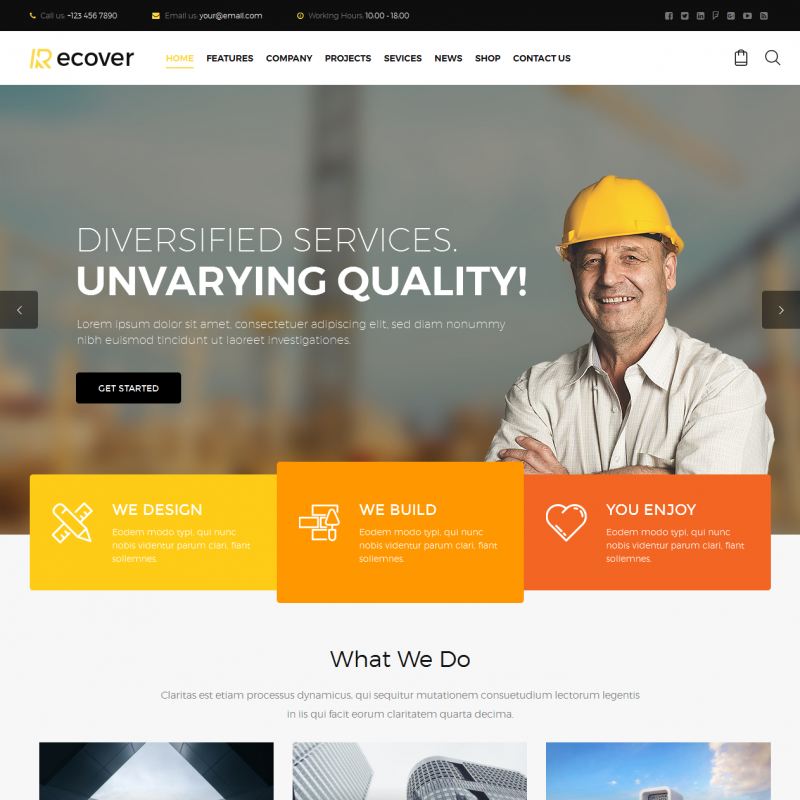 Recover has a beautiful Mega menu with an option to add icons related to the construction business, offers 4 blog layouts, and 5 portfolio layouts. You can choose various options for the header and menu layout.